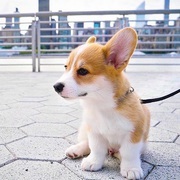 This is category for dogs and puppies in Sydneywhere you can find dogs for sale and puppies for sale in Sydney,different dogs and puppies in this Sydney,colour and breed. Dogs for sale, puppies for sale ads in Sydney. Thank you for visiting our free advertising website Dogs for sale, puppies for sale, Sydney section. We provide high response free classifieds and free advertisement. Use our online free Dogs for sale, puppies for sale classifieds placement system to find, list, offer Dogs for sale, puppies for sale online! Save Extra 5% On Top Flea & Tick, Heartwormers & Pet Foods for Dogs and Cats. Get FREE SHIPPING on everything. Get our amazing deals now! https://www.vetsupply.com.au/offers.aspx. Your dog is part of the family so we have dog supplies for every stage of their life. 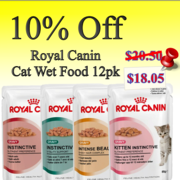 Great value dog food, toys, and more can be found online! More info: https://www.vetsupply.com.au/dog-supplies/t1.aspx. For professional dog walking services, contact the friendly team at Mad Dogs and Englishmen. We service various areas such as Sydney, Brisbane and the Gold Coast. 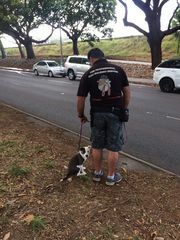 If you’d like to know if we can walk your dog in your area, visit our website at https://www.maddogsdogwalking.com.au/. they are available now both males and females coming with all their papers all vet checked, kennel registered and well tamed with potty and toilet organized puppies do get in touch with me on 0485779677. 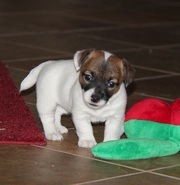 Last 3 available puppies.Very sweet and well socialized. Vet checked and UTD shots and deworming treatments according to age requirements. Raised in my home.contact for more infos marckodensell000@gmail.com. 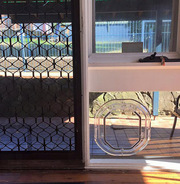 Want to install screen door for dogs? We at Sydney Paws Petdoor could offer you the accuracy you desire of. As professionals and pet lovers, we completely understand the need of the dogs and thereby consider the comfort of the dog while installing the screen door. We at Pet Paws Petdoor can give you a safe and secured installation in the most skilled manner. Sydney Paws Petdoor is one of the leading professionals for pet door installation in Sydney. Our team of experts enjoys an eloquent knowledge in installing pet doors and comprehends well about its importance for both pets and pet owners. Rest assured we leave no stone unturned to offer a reliable service to ease off the movement of the pets and give them a perfect space to rest on. Petnest.com.au is a one stop shop for your Pets needs. It provides all Toys like interactive toys, indestructible toys, kitten teething toys, preening ball bird toys and more toys for Dog, Cat, Birds at a great price. For more information please visit our website http://www.petnest.com.au/. 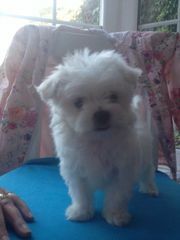 4.5 months old white pomeranian boy for sale. He is very small, 1.5 kg at the moment and has no faults. Has got a very short nose and cute face..
We specialize in selling dog training collar, Dog boundary fence and other dog electronic gadgets. We have other animal repellers and grooming kits too. Want to know more, visit our website at http://www.edogaustralia.com.au/. Dog Training: Complete video Guide to Training Your Dog or Puppy To Be Obedient and Well Behaved Do You Want to Know How to Train Your Dog Do you want to know how to train your dog to be obedient? After applying this guide you will have the perfect dog ready to take commands from you at any time. get your video here : http://howtotraindogs. Pet Me is 100% Australian Owned and Operated by a family business based in Sydney. We loved our pets and we know how much “Pets” mean to us. We make every effort to ensure that we carry a good range of products to meet your needs. We try our best to keep the price at low cost and wish you enjoy shopping with us. I am a small breeding facility, I care for my animals like they are my own children. When you buy one from me you are not just getting a new puppy, you are getting one of my children. I do stand behind my babies. My kennel is AKC kennel approved! (414) 563-7791. Sphynx Kitten Male Seal Point Blue Eyed. Sphynx Kitten Male Seal Point Blue Eyed. Sphynx kitten seal point blue eyed male He will leave fully vaccinated , registered, wormed, vet checked , litter trained, 4 weeks free insurance. All enquiry welcome:. I have a beautiful Rottweiler puppy for sale. She is 10 weeks old she is already potty trained. She will hold it all night as long as you take her out before bed and first thing in the morning. Has had one set of shots will go with leash, collar and dog toy. 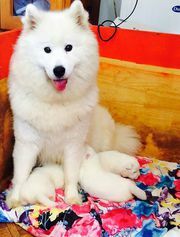 We have a beautiful litter of Samoyed puppies, Males and Females are available. Puppies are from champion lines from the UK and Australia, both parents are available to view along with their pedigree papers, both parents have participated in various shows and other events, they are well natured with loyal temperaments. They are up-to-date on shots and wormings , ready for a new home with a very responsible, loving and committed owner soon. I have two available Male and female. The puppies are very healthy and doing great, (see them in the picture) to have an idea how the puppies will become. 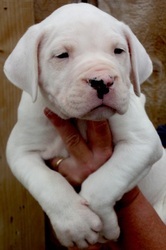 Then we can discuss all the details to prepare your new puppy for their new life with you and your family. Chow Chow independent for sale calm and vigilant. Chow Chow is an independent dog that is calm and vigilant. It is a huge, puffy, lovable friend with abundant character. It is territorial, and may try to dominate other dogs on its home turf. If the Chow Chow doesn’t detect a ruler of the pack it will step in to fill the void, so a successful Chow Chow owner must be dominant. 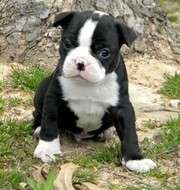 These bulldog puppies are vaccinated, currently on all shots and are all very healthy. My puppies are tamed, very docile, sociable , like to play with people and other home animals. They love going for walks to the park and watching sunsets at the beach. Sticks, squeaky toys, and peanut butter are a few of their favorite things, along with long naps. These little teddy bears are super playful and sweet!dad is a teacup Yorkie(almost 4 lbs) so these little guys should be somewhere in between. 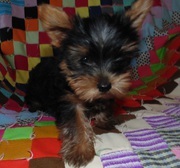 They are AKC pure bred Yorkshire terrier.Only text plz: 747-221-1343 .They have first shots dews and claws done! call to schedule a time to see your new family member. Neapolitan Mastiff Puppies Ready For Sale.We now have two males and one female they are all home raised and current on vaccine.Please dont miss this opportunity..
HI, I HAVE 2 MALE AND FEMALE PUREBRED CAVALLIER PUPPIES LEFT TO PLEACE IN LOVING HOMES, 1 BLHENIM & WHITE AND 1 BLACK & WHITE. MUM AND DAD ARE STUNNING AND HAPPY DOGS, PLEASE EMAIL US FOR INFO..
She is a high quality, Coboy female! Father: Red Fawn Mother: 2 Red fawn female 1 Red fawn male 2 fawn males..
3 FAWN FRENCH BULLDOG PUPPIES FOR SALE .. 2 MALES 1 FEMALE.. PARENTS ARE AMAZING PETS . PUPPIES ARE VACCINATED WORMED FLEA TREATED MICRO CHIPPED AND HEALTH CHECKED . . READY TODAY !! ALL PUPPIES ARE FAWN IN COLOR SO COME TAKE A LOOK AND MEET THEM TODAY . MUM AND DAD ON SITE. All our pups have been raised around children and will come with all vet records including a 2 year genetic health guarantee.Please email us anytime for details and pics..
We have cute and healthy puppies now ready for their new homes, they are all current on shot and vaccine and will come along side with all documents.Please email us for details. 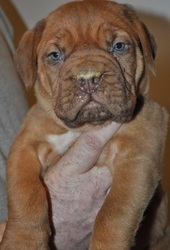 We have well home train Dogue De Bordeaux puppies now ready for their new home, our pups are well socialized with kids and other house pets and will make a great companion. This handsome little boy is Aspen. He has a very slick, shiny coat with short stocky legs and big bright eyes. This little man is very sweet and loving.He loves to follow you and watch everything you do. He loves to go exploring outside and gets along really well with other animals.If you are looking for a sweet, friendly little companion then this is the one for you!Aspen is vet check and will come with his first two sets of vaccinations and will be current on deworming. This sweet face and healthy looking puppies are now ready for their new homes, they are well socialized with kids and other house pets. We have cute and sweet looking puppies well socialized with kids and other house pets.Please email us for details about them..
Australia free ads for Dogs for sale, puppies for sale, Sydney, Dogs for sale, puppies for sale free ads Sydney, Dogs for sale, puppies for sale for sale Sydney, Dogs for sale, puppies for sale to buy in Sydney. Find on this page free classifieds for Dogs for sale, puppies for sale in Sydney. This listing includes classifieds for sale and to buy in Sydney. FREEADSAustralia Sydney offers you a platform to post free advertisements or classifieds for Dogs for sale, puppies for sale in Sydney. FREEADSAustralia helps you search, find buy, sell, rent or hire in various categories like apartments, goods for sale, local services, cars , jobs and many more in Sydney. If you posted an advertisement in category Dogs for sale, puppies for sale of FREEADSAustralia Sydney before please use Edit my ads button to change or cancel your ad. Dogs for sale, puppies for sale Sydney ads Sydney, Dogs for sale, puppies for sale classifieds Sydney, Dogs for sale, puppies for sale free ads Sydney, ads for sale Sydney, ads to buy Sydney, FREEADSAustralia. Find here ads for sale, to buy and rent in Sydney. Goods for sale in Sydney, vehicles for sale in Sydney, Sydney real estate for sale, Sydney property for sale, property for rent in Sydney, business ads in Sydney, Sydney business classifieds, services in Sydney, Sydney services ads, jobs in Sydney, pets for sale in Sydney, Sydney dating, Sydney cars for sale.